Only the best will do for your perfect wedding day. At Deans Wedding Cars we specialise in Wedding Car Hire offering a friendly, professional and prompt service to you and your family. Allowing you to sit back and enjoy your special day and arrive in consummate style. With classic wedding cars to dazzle and impress, our friendly, professional and prompt service will serve all your wedding transportation needs on the day right from your journey to the ceremony to your carriage to the reception. Everyone deserves to arrive in style and be pampered on their Wedding Day and this, at Deans Wedding Cars, is what we aim to offer. With our cars only being booked for one couple a day we guarantee you that we will be able to offer you our absolute attention and professional commitment, making your wedding as special as we can. 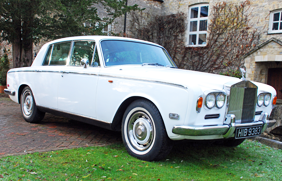 With our wedding cars we are able to cover throughout Northamptonshire and surrounding areas. 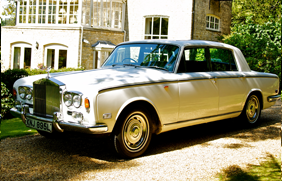 So if you're after a Rolls Royce to hire, Deans Wedding Cars are here to help with all your wedding transport needs.